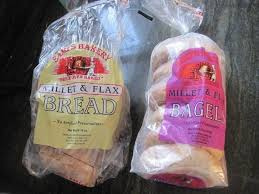 Sue's has a large selection of wheat, gluten, corn, soy, and yeast free foods. This month we have added over 50 new products including cookies, chicken tenders, breads, chewing gum, hot chocolate, and more. Companies we carry are Pamela's, Gluten Free Pantry, Kinnikinnick, Food for Life, Van's, Amy's, Tinyaka, Ener-G, Glutino, Anna's Gluten FREE mixes, Kashi, Blue Diamond, Deboles, Mrs. Leeper's, Bragg's Amino's, Ivan's and many more. Are you traveling, moving to the area, on vacation, or looking for allergy foods? We have what you need. Don't hesitate to ask for other products if you don't see what you are use to getting. We strive to accommodate our customers and pride ourselves in customer service.